There was no summer houses in Tolne - In stead we shows summer houses in the neighbour villages to Tolne. 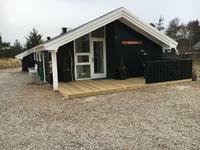 Luxury cottage for 8 people in Bunken Plantage between Aalbæk and Skagen. Located on 5000 m² land in undisturbed nature shielded from the wind. 200m to hole 10 of Hvide Klit Golf Club. 10 persons Dishwasher Washing machine Whirlpool Sauna Pets OK Distance to beach: 1500 m.
6 persons 3 bedrooms Dishwasher Washing machine Whirlpool Woodburner Internet - Broadband Pets OK Distance to beach: 3000 m.
Fine, newly refurbished cottage of 64 m2 with room for 6 people. The house is uniquely located with the beach as its next-door neighbour. Close to charming harbour with plenty of local life. 6 persons 2 bedrooms Dishwasher Washing machine Woodburner Internet - Broadband Distance to beach: 150 m.
Charming 70 m2 house in wonderful nature at Aalbæk, close to Råbjerg Mile and Skagen. 6 people, 2 large bedrooms and open loft. The house has 3 terraces on 8000 m2 secluded site in nature. 6 persons 2 bedrooms Washing machine Woodburner Internet - Broadband Distance to beach: 2000 m.
Lovely summer house from 2014 of 115 sqm for 4 people. The house has a large lounge, open kitchen, 2 fine bedrooms, scullery and bathroom. Fine roofed terrace. 4 persons 2 bedrooms Dishwasher Washing machine Pets OK Distance to beach: 400 m.
Charming cottage of 67 m2 for 6 people at the beach in Ålbæk. Close to Skagen and golf course Hvide Klit. Perfect for biking tours, e.g. to Skagen, Råbjerg Mile and the North Sea. 300m from child-friendly beach. 3 bedrooms, 2 terraces. 6 persons 3 bedrooms Dishwasher Washing machine Woodburner Internet - Broadband Pets OK Distance to beach: 300 m.
Very well equipped - very child friendly - cottage for 5 persons for rent all year round. Approx. 350 m to a childfriendly sandy beach with dunes. 5 persons 3 bedrooms Dishwasher Washing machine Woodburner Internet - Broadband Pets OK Distance to beach: 350 m.
Well equipped cottage of 67 m2 for 4 people. Only about 150m to child-friendly beach with dunes. Nature land with heather and small firs. Lounge, open kitchen, 3 bedrooms, Sat-TV. 2 large, sunny terraces with garden furniture, parasols and grill. 4 persons 3 bedrooms Dishwasher Woodburner Internet - Broadband Distance to beach: 150 m.
Cottage centrally located in Tversted village on 1300 m2 plot. About 500 m to one of the country's best beaches and to a grocery via paths or roads. Nice terrace with good shelter and electricity. You can find many activities nearby. 6 persons 3 bedrooms Dishwasher Washing machine Woodburner Distance to beach: 500 m.
Apartment in a former power station, nice located in quiet surroundings at a small river, a beautiful fish ladder and a natural playground. Large dining kitchen, double bedroom, bedroom with 4 bunk beds, bathroom with shower, livingroom with TV. 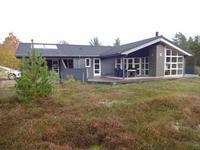 6 persons Pets OK Distance to beach: 4000 m.
Charming cottage for 6 people in Bunken Plantage between Aalbæk and Skagen. Lounge with family kitchen, 2 bedrooms and an annexe. Located on 5000 m² land in undisturbed nature shielded from the wind. 200 m to hole 10 of Hvide Klit Golf Club. 6 persons 2 bedrooms Dishwasher Washing machine Woodburner Internet - Broadband Pets OK Distance to beach: 1500 m.
Charming holiday house for 4-5 people for rent in nature surroundings at Ålbæk Bay. Lounge with open kitchen. 1 bedroom, 1 bunk room and annexe with bunks. Ålbæk boasts the beach and a marina/fishing harbour and fine shopping and dining. 5 persons 3 bedrooms Dishwasher Woodburner Distance to beach: 350 m.
Lovely redecorated summer cottage for 4-5 people near super lovely, child-friendly beach. The house stands north of Ålbæk, where there are good shopping possibilities. Only 20 min. driving for Skagen. 4 persons 2 bedrooms Dishwasher Woodburner Pets OK Distance to beach: 200 m.
Family-friendly cottage 65 m2 for 6 persons. 3 bedrooms. Surroundings of wonderful nature. Only 350 m from child-friendly beach. 6 persons 3 bedrooms Dishwasher Washing machine Woodburner Internet - Broadband Distance to beach: 350 m.
Charming, well-kept holliday cottage of 82 m2 for 6 persons. diningroom/kitchen,sittingroom, 2 double bedroom, room with bunk beds. 2 terraces with morning/evening sun and fine shelters.Furnitures on both terraces. Firewood at your disposal. 6 persons 2 bedrooms Dishwasher Washing machine Woodburner Distance to beach: 1000 m.